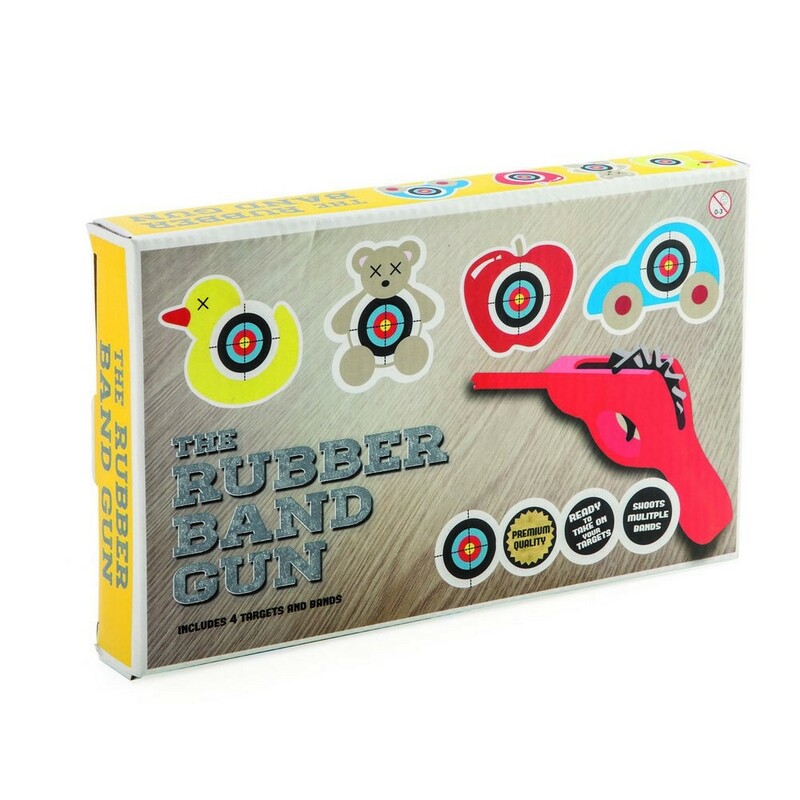 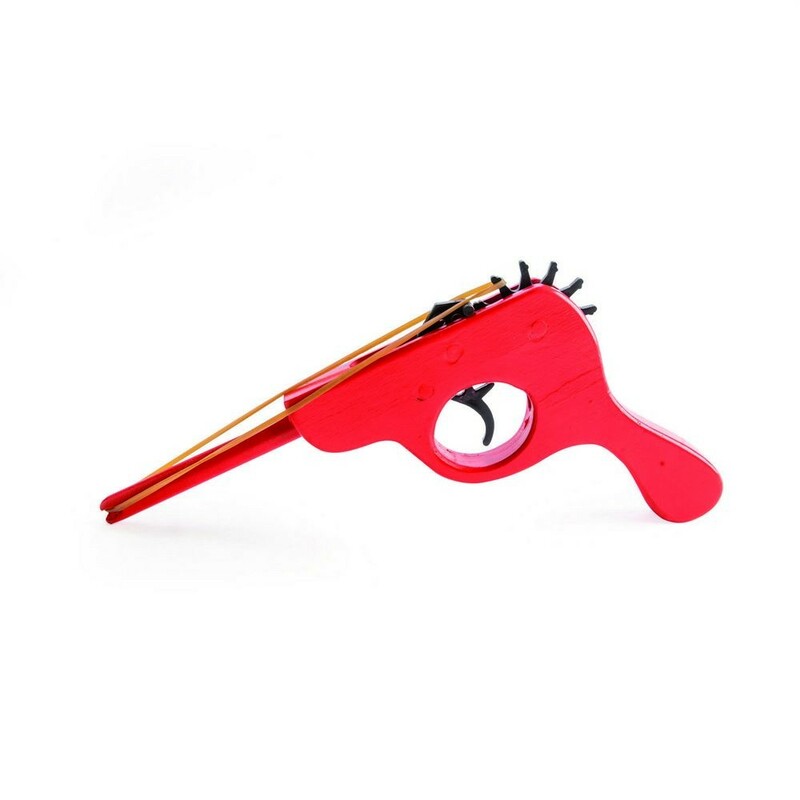 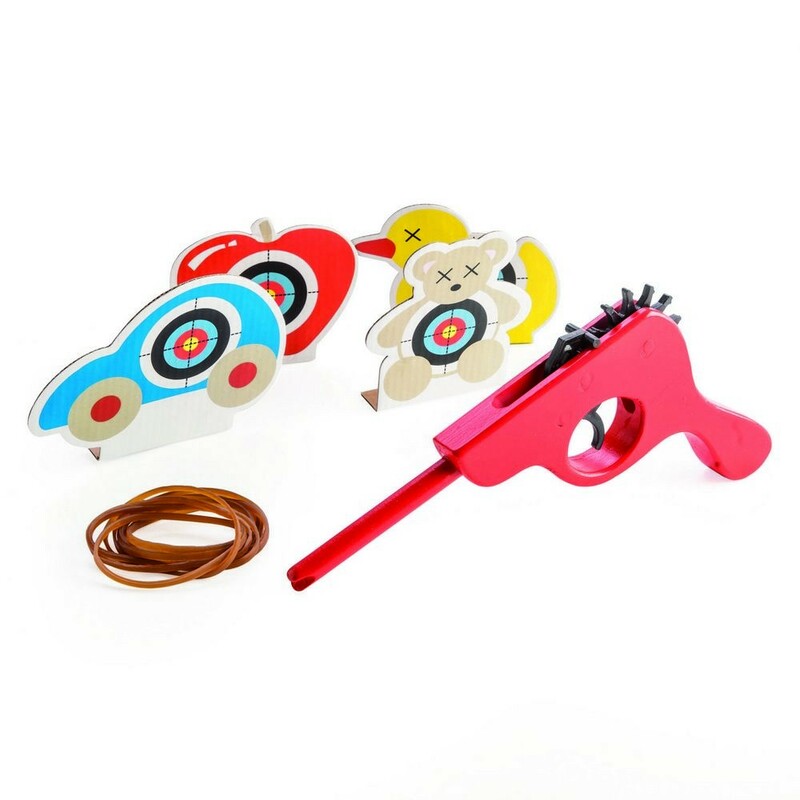 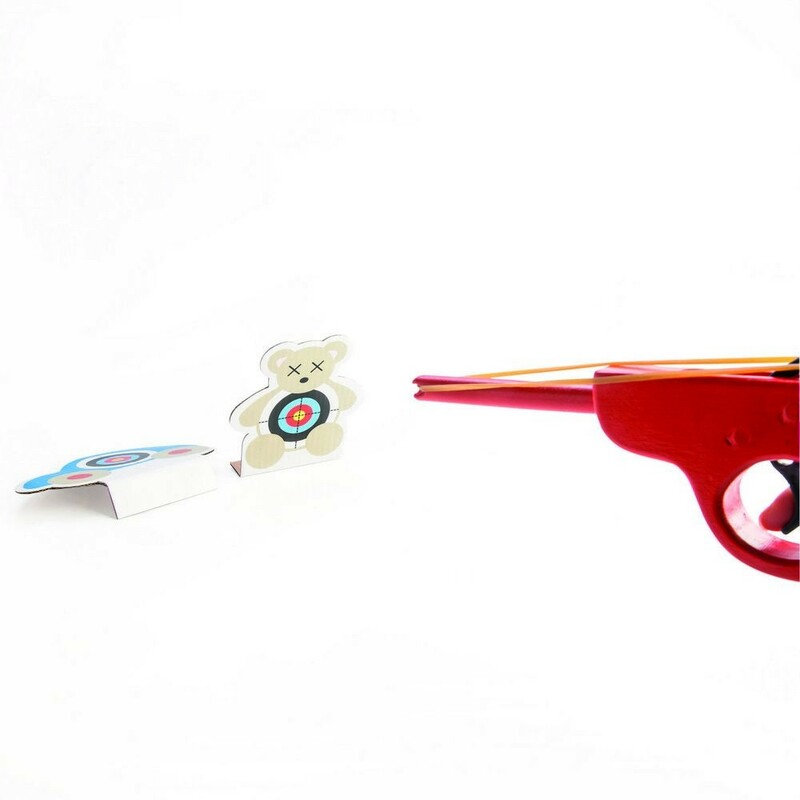 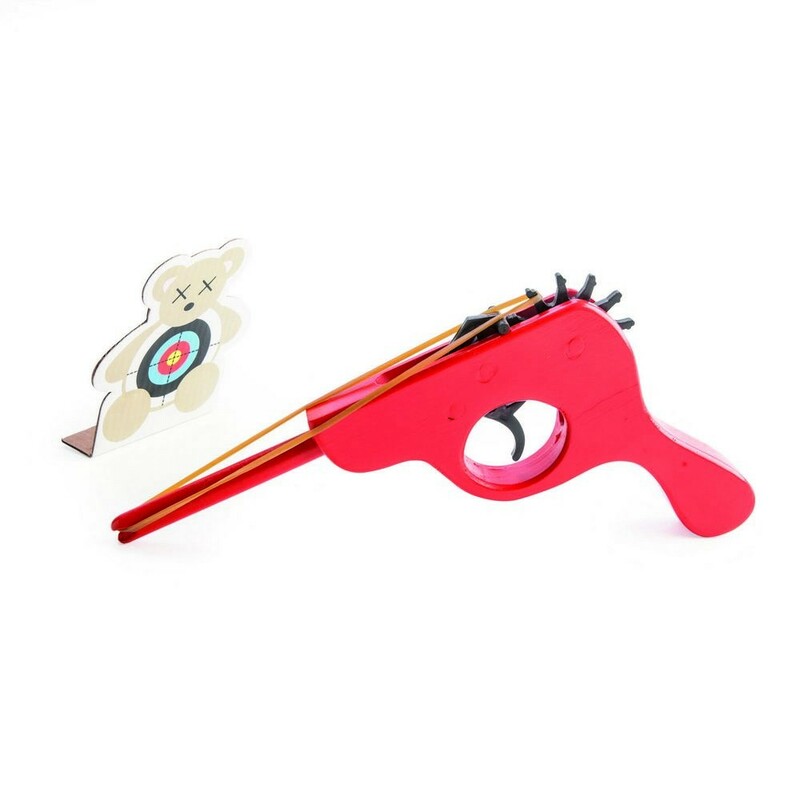 Flick rubber bands with much greater accuracy that any pseudo finger-pistol can! 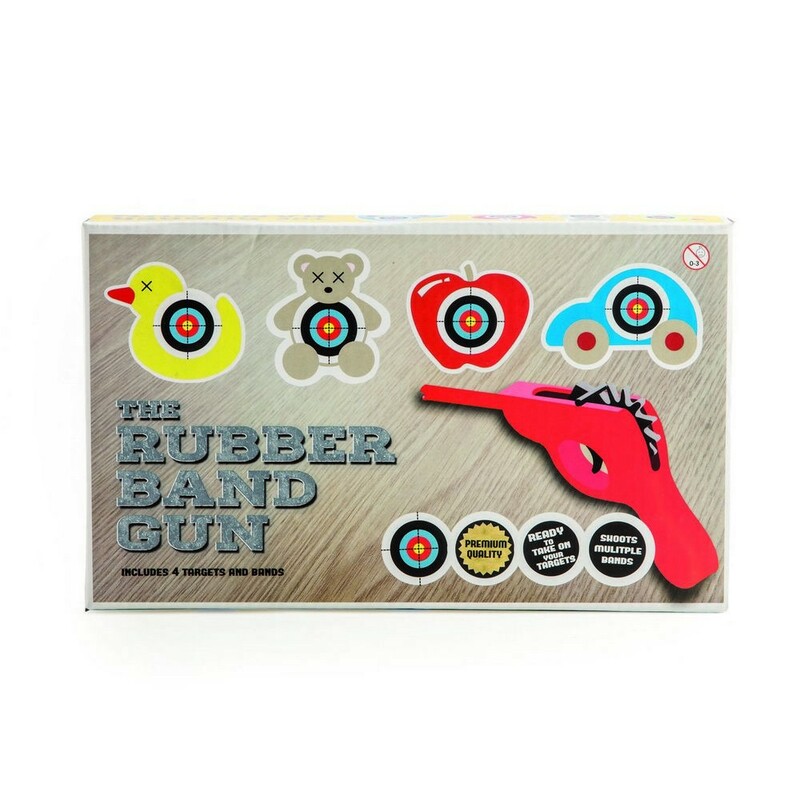 Lock and load 5 rubber bands for rapid fire action. Comes with 4 targets.